Welcome back to Farma Science 101, folks. Last time, we discussed one of the most famous terpenes, Myrcene. This time, we’re going to talk a bit about the other most prominent terpene found in cannabis: Limonene. While Myrcene is the one of the most sedating compounds found in cannabis, Limonene is known to exhibit more uplifting and invigorating effects, making it a compound often associated with cultivars labeled as “sativa” within the cannabis community. Limonene is also found in citrus rinds, and one of its most easily identifiable qualities is its bright citrus smell. In general, cannabis cultivars that smell strongly of citrus have higher concentrations of Limonene, and consequently will have more mood-elevating and uplifting effects than their less citrusy counterparts. Aside from its anti-depressive qualities, Limonene is also effective at relieving gastrointestinal distress, making it useful for addressing symptoms like stomachaches, cramps, and nausea. Additionally, Limonene has been associated with an increase in the production of testosterone in humans, meaning that cannabis testing high in Limonene can also be effective as an aphrodisiac! 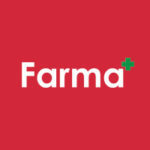 Thank you for tuning in; check back next time for another installment of Farma Science 101!